These vanpools coming into Redmond are looking for riders like you to join them! If you don't see a match for you, try running a ridematch on your Go Redmond account. There may be other vanpool and carpool options for you there! The bulletins are also available on the King County Metro website. 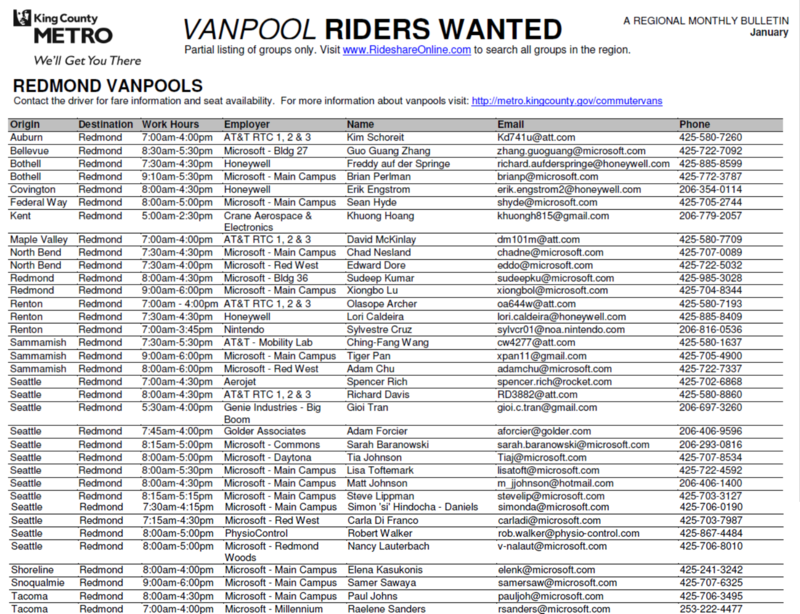 New vanpool riders are eligible for $50 fare subsidy for 6 months from Go Redmond.